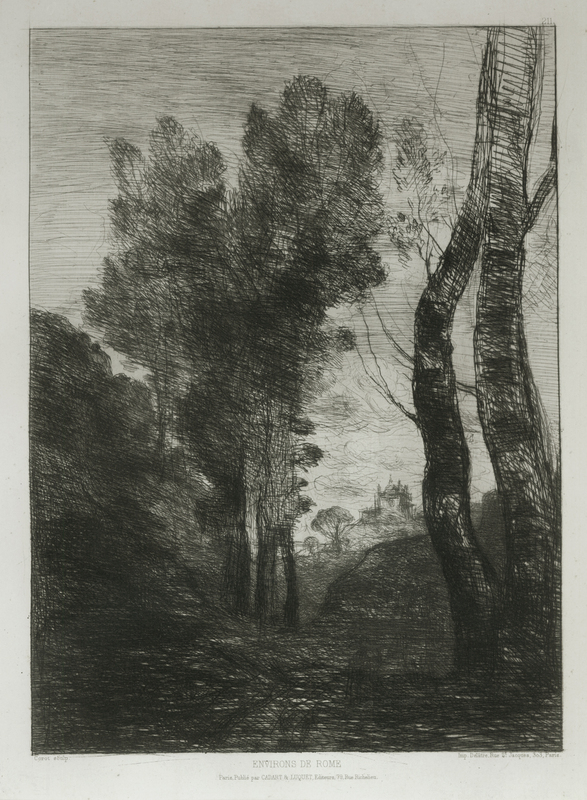 This is a fine example of the important etching by Jean Baptiste Corot. This etching is titled: Enviorns De Rome, it was created in 1866, this proof is the second state A. of three. Printed on Holland Paper, This printing had the addresses of:" Cadart and Luquet Editeurs, 79 Rue St Jacques 303 Paris" A rich impression, Catalog Delteil 6 II/III. Framed, previously sold by Kennedy Galleries in New York.